Carlos Castro with, from left, daughters Lionalyz and Carlena and stepdaughter Nikaletta Martin. Photo courtesy of Stephanie Castro. 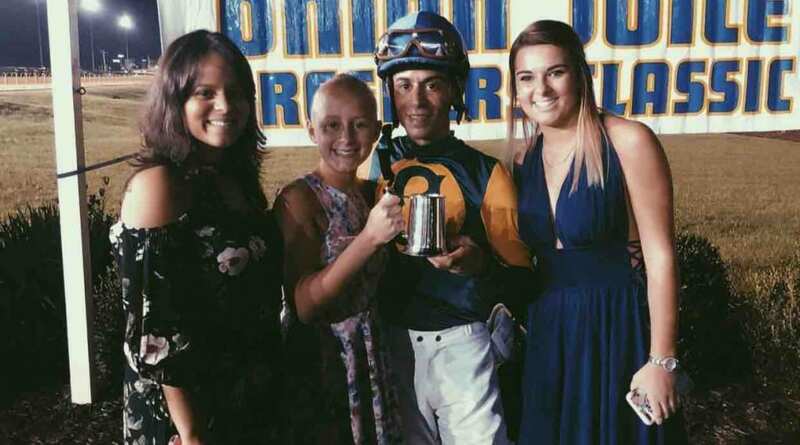 Jockey Carlos Castro’s wife, Stephanie, and their two daughters, Lionalyz and Carlena, have always understood the risks the rider took every time he climbed into the saddle for a race or even a workout at Charles Town. But they hardly ever anticipated that his riding career and nearly his life could be virtually ended by a bizarre, horrific accident away from the race track. “As a jockey he is self employed and has no accidental insurance which means no paycheck, no source of income,” she explains on the page. Just over one month ago, on February 18, Carlos Castro was out for his typical run along the train tracks when he heard a freight train approaching from behind. Castro, a professional jock since 2001, had navigated the tracks hundreds of times over the years and he knew where he could find safe ground away for the rails while still maintaining a decent jog. But on Feb. 18 he did not veer far enough from the tracks and was struck from behind by the moving freight train. He suffered countless injuries and a severe loss of blood and was literally moments away from death when paramedics arrived. Castro no longer has any feeling below his waist and doctors believe he will never walk again. 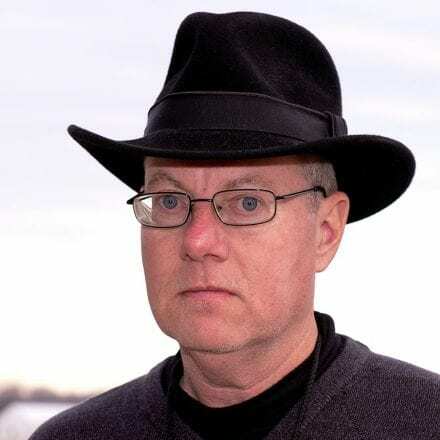 He has already undergone surgeries on his heart, lower back, right shoulder and right eye socket, and he suffered broken ribs, resulting in a collapsed lung that has placed him on a ventilator for the last six weeks. But his wife and daughters are thankful that he is alive and hold out hope that at some point he could walk again. “We know that their dad will walk them down the aisle on their wedding days!” Stephanie wrote on the Gofundme page. Castro rode 1,149 winners from 11,155 mounts in his career, with those runners earning nearly $20 million along the way, He twice rode more than 100 winners in a single year (2002 and 2005) his mounts earned at least $1 million ten times. Last summer and fall, Castro became the regular rider of Unrideabull, a talented but often uncooperative four-year-old Bullsbay gelding owned, bred and trained by Michael Sterling. Castro guided Unrideabull to an allowance victory on June 15, then consecutive triumphs in the Robert Leavitt Memorial for state-bred three-year-olds on August 19 then the Frank Gall Memorial for three-year-olds and up on Sep. 23 before the gelding ended his sophomore season by running fourth in the West Virginia Lottery Breeders Classics on Oct. 14. Like Stephanie Castro, Sterling is holding out hope that the jockey will continue to improve and someday would be able to regain some semblance of a normal life even if riding was not part of the equation. Castro, who also has a step-daughter, Nikaletta, 20, along with Lionalyz, 19, and Carlena, 13, has received donations of nearly $2,500 through the fundraising efforts thus far, including those from fellow jockeys and trainers. Thus far the sum is well shy of the $10,000 Stephanie is seeking to help cover medical costs, but she is grateful for the contributions.